In my over 30 years of practice as a holistic doctor, I have seen both types of patients. Those who arrive to my office with bags full of prescribed medications, and those who arrive with a suitcase full of “natural supplements.” (I’ve even seen fellow doctors do this.) What is wrong with this picture? Sometimes well intentioned doctors prescribe their patients a medication without reviewing what she or he has already been prescribed by another doctor, or sometimes patients neglect to mention a medication or supplement. When that happens, the new prescribed medication may dangerously interact with another the patient has already taken. Hospitalizations due to untoward effects of correctly prescribed medications range from 1.5 to 2.7 million cases per year. The death rate from the consumption of prescribed medications in the USA is estimated to be five times that of the rate for opioid abuse. 25% of Teenagers are Doing What?! It’s common knowledge that adolescence is characterized by risk-taking behaviors and experimentation. As a parent, you try your best to warn your adolescent children about the dangers they may face, especially regarding drug and alcohol abuse. 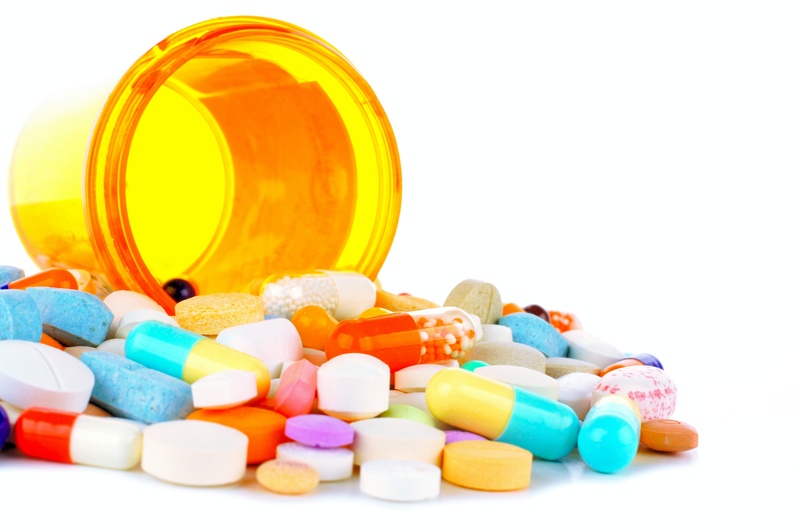 One type of drug use that is less commonly recognized is prescription drug abuse. In fact, after marijuana, prescription drugs are the most commonly abused drug by teenagers. Nearly 50% of Americans take at least one prescription medication, and the sale of prescription painkillers quadrupled from 1999 to 2010. Therefore, prescription medications are readily accessible by children and teens. It’s estimated that 25% of teenagers has misused or abused a prescription drug at least once in their lifetime. One disturbing risk taking trend in regard to prescription drug abuse is for teens to gather for what’s called pill parties, or “skittling.” In these settings, kids are encouraged to bring any pills they can find, and then the pills are dumped into a bowl for them to sample. The risks are very high, given that the child may be taking a very dangerous medication, and is also mixing medications together. These types of gathering have resulted in significant illness and even death for some teens. So what can you, as a parent, do? 1) Regularly inspect your medicine cabinets and dispose of all medications that you are not using. Many people hold on to left over medicines “just in case” they need it later. Please dispose of it to decrease the risk of a child accidentally or intentionally taking the medication. Many communities now offer a "medicine disposal day" in conjunction with the police so that medication can be safely turned in and not disposed by flushing it down the toilet, thereby adding it to the water supply. 2) Talk to your children about the issue of prescription drug abuse among teenagers and educate them about its dangers. Don’t be afraid to ask them if they are aware of or have attended pill parties or other types of social gatherings that encourage drug use.